Ever since I moved back to St. Louis from France, I feel like I’m re-discovering the city I grew up in…Especially in terms of food. Many years have passed since I’ve eaten a hot dog or hamburger, and my stomach doesn’t have quite the same staying capacity for large, overflowing ice cream sundaes. But once in awhile, I still like to indulge in a few of my childhood favorites. 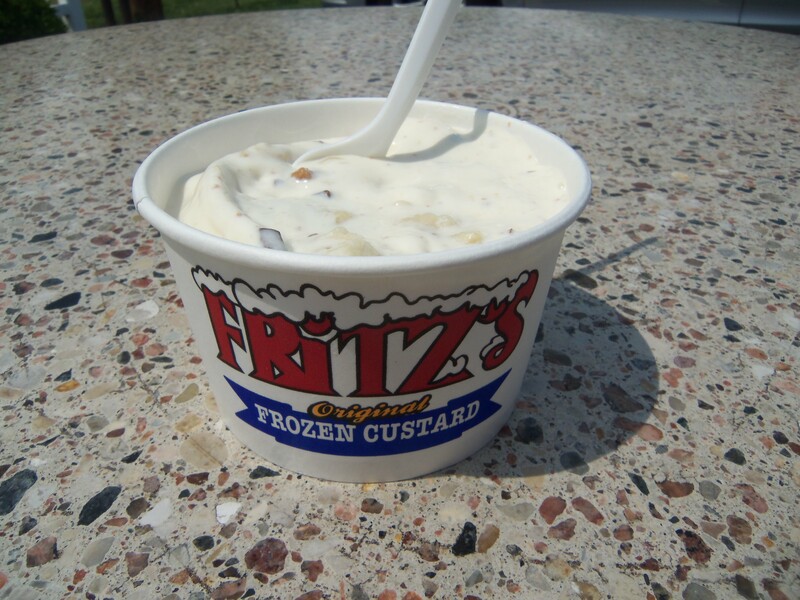 One food that I grew up eating, and will probably continue to eat for the rest of my life, is frozen custard. 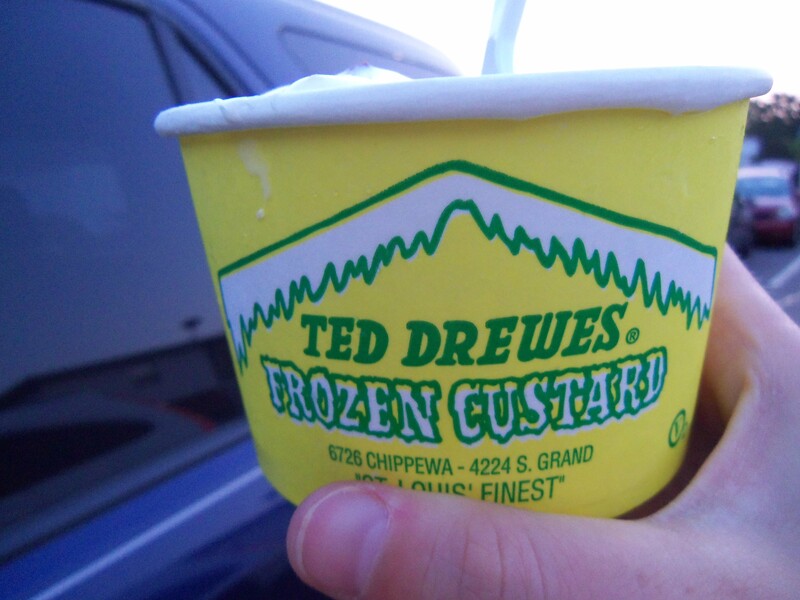 Frozen custard is a time-honored St. Louis tradition. It’s rich and creamy, but actually has less fat than ice cream. You can get a scoop, a sundae, or you can get my personal favorite: a concrete. A concrete? You may ask. No, it’s not ground up sidewalk pavement with a spoon. The word “concrete” refers to the phenomenon that occurs when the custard is blended with mix-ins. After the custard and toppings are blended together, you can effectively turn the cup over, and the custard won’t fall out. It’s a gravity-defying dessert. 1.) 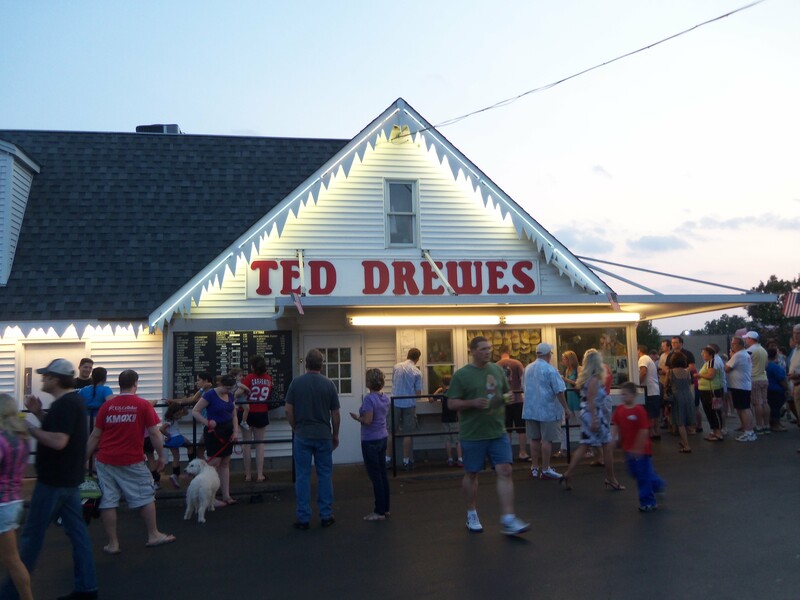 Ted Drewes– Ted Drewes is probably the most famous local frozen custard shop, and is a veritable St. Louis institution. It has been around since 1929, and serves up unique concretes and sundaes. I always order the “All Shook Up,” a concrete that pays homage to Elvis by mixing peanut butter cups and bananas in vanilla custard. 2.) Spanky’s– I just discovered Spanky’s while reviewing local custard shops, but if you’re ever in South St. Louis County, this is one store you won’t want to miss. Spanky’s is tiny in size, but has a huge selection of flavor combinations. For my article, I ordered the “Cookie Monster,” which was vanilla custard topped with hot fudge, caramel, and cookie dough…Maybe not the lightest option, but if you want to go all out, this is the place to do it. 3.) 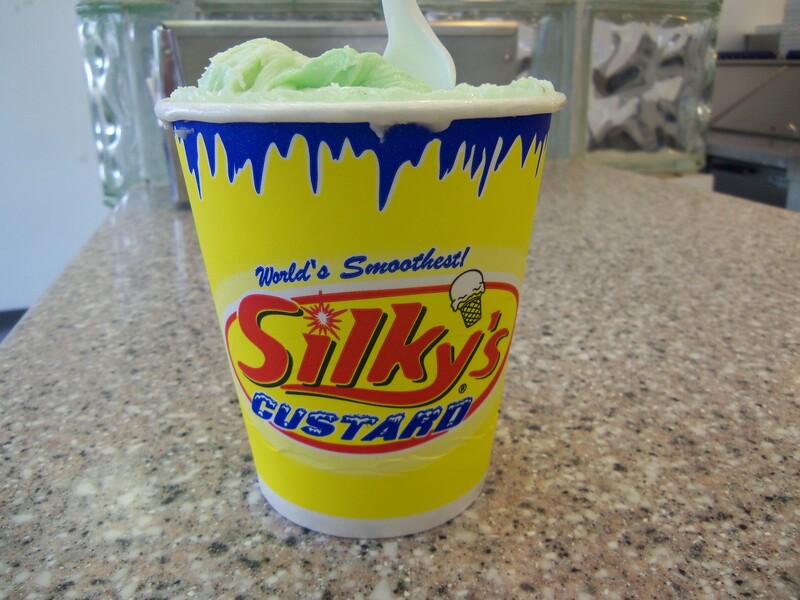 Silky’s– I’ve been going to Silky’s since I was little, and I used to order plain vanilla with rainbow sprinkles. Nowadays, I usually indulge in their “Grasshopper” concrete, which mixes chunks of semi-sweet chocolate and mint syrup. The mint flavor is very cool and refreshing, especially during hot St. Louis summers. 5.) 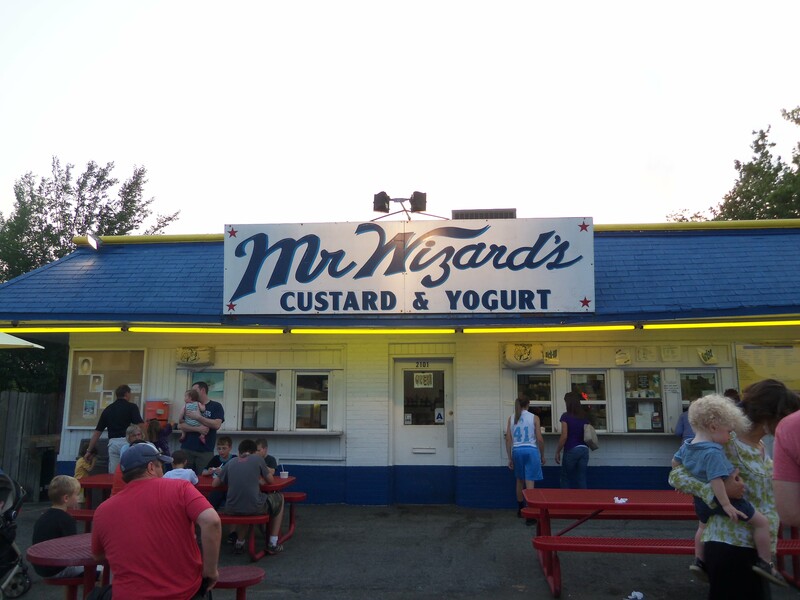 Mr. Wizard’s– Mr. Wizard’s doesn’t have the same name-recognition as Fritz’s or Ted Drewes, but it can still hold its own. 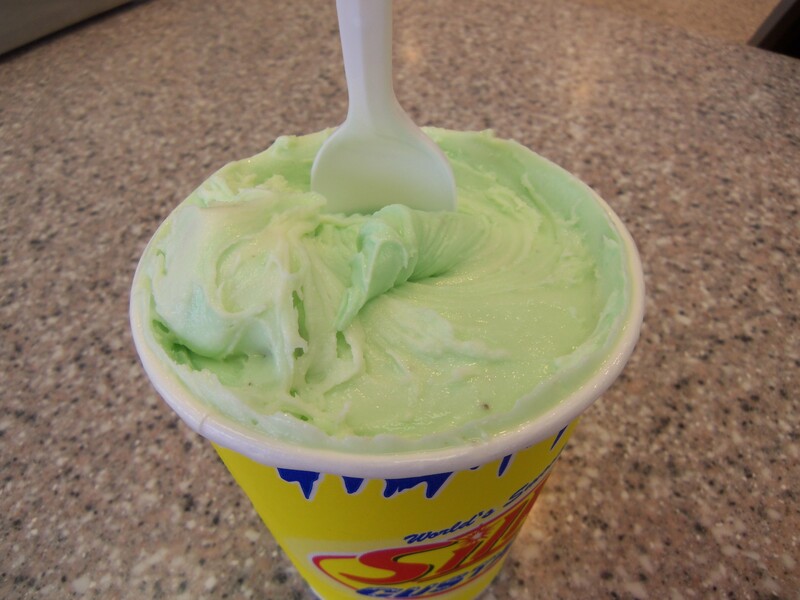 Like the custard at Spanky’s, Mr. Wizard’s custard is swirled from a machine (not scooped). 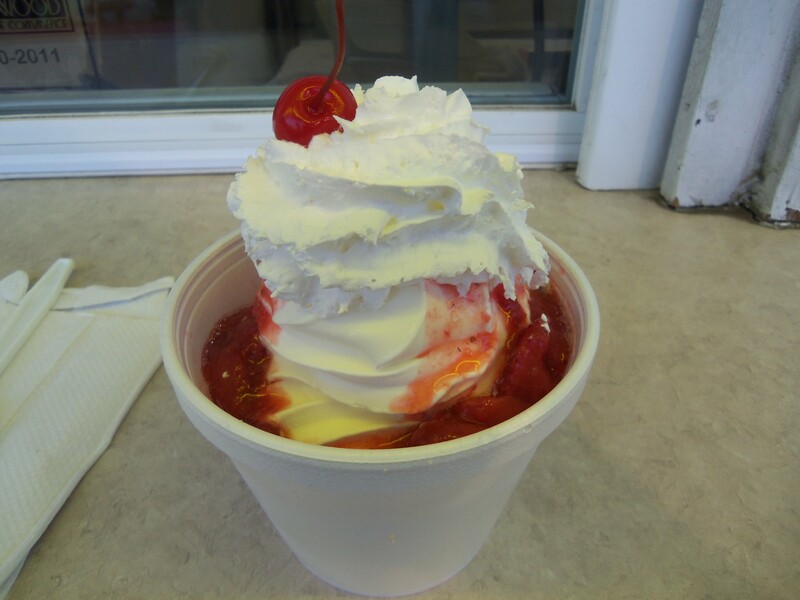 When ordering, you can choose between custard and yogurt, a variety of toppings, and also a few signature sundaes. I get the “Strawberry Shortcake,” which is a “Mr. 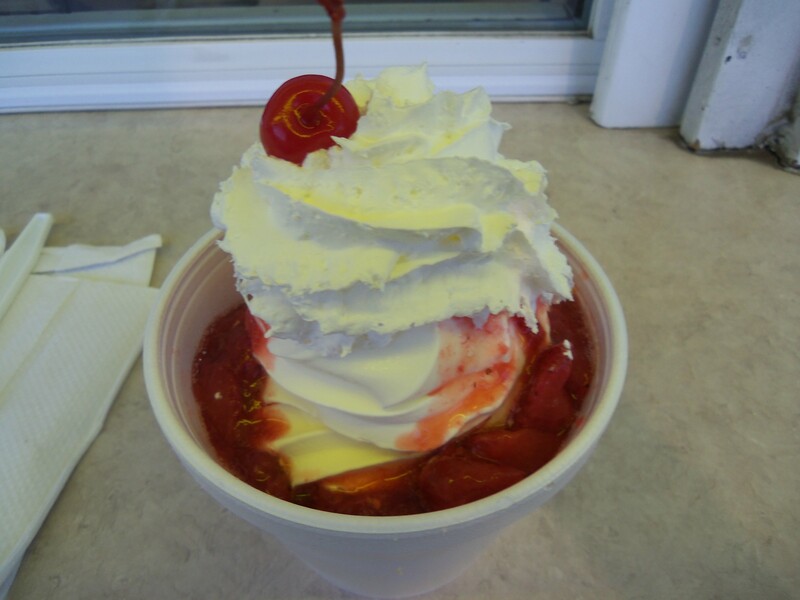 Wizard’s favorite.” All sundaes are topped with mountain of whipped cream and a cherry. This weekend when I went to get custard, every location was packed…Ninety-five degree weather and long weekends usually coincide with long lines and traffic. 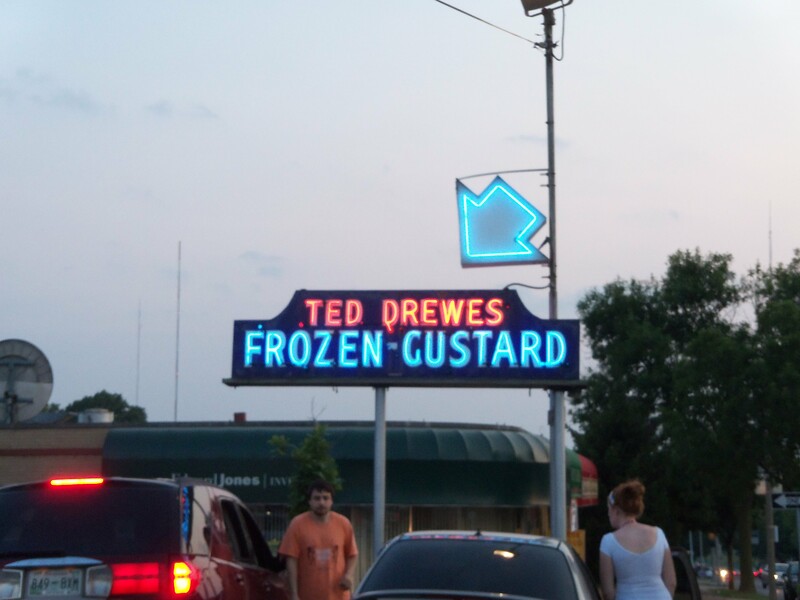 However, if you can brave the heat and crowds, the custard is well worth waiting for. 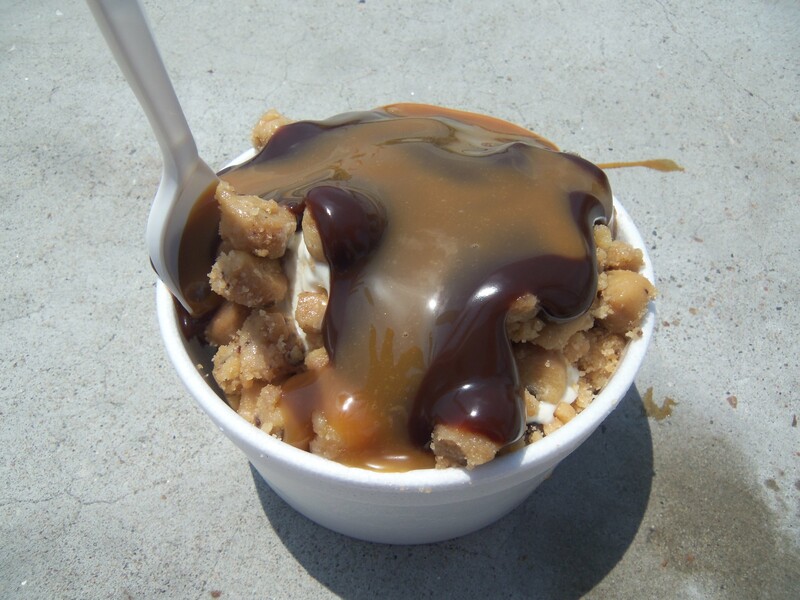 This entry was posted in Restaurant Reviews, Uncategorized and tagged all shook up, banana, caramel, cherry, childhood, Chocolate, cookie dough, custard, dessert, Elvis, flavor, Fritz's, frozen custard, grasshopper, hot, hot fudge, Ice Cream, memory, mint, Mr. Wizard's, peach, Peanut Butter, peanut butter cups, rainbow sprinkles, scoop, semi-sweet chocolate chips, Silky's, Spanky's, St. Louis, St. Louis food, strawberry, strawberry shortcake, summer, swirl, Ted Drewes, vanilla, vanilla custard, whipped cream, yellow cake. Bookmark the permalink.